Arley Homes has confirmed that two of its new housing developments at The Maples, Fulwood and The Meadows in Coppull have completely sold out. Both developments have been built on land formerly owned by Northern Trust, and have seen the creation of 52 new family homes in total. Northern Trust secured outline planning consent for residential development on both sites before selling to Arley Homes, who subsequently obtained detailed planning permission, built and sold the schemes. 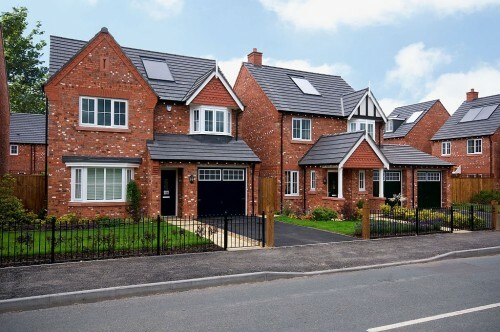 Arley Homes initially acquired Northern Trust’s 2.7 acre site in Coppull, Chorley, and transformed the former Waggon and Horses pub site into a new housing development of traditionally-styled family homes. The Meadows enjoys a semi-rural location close to the A49 with good access to both the M6 and M61. The Maples at Fulwood is an elegant development of four and five bedroom family homes, arranged around a quiet cul-de-sac with wonderful rural views. With a classic English architectural theme, this development was built on 1.2 acres of land on Lightfoot Lane, previously owned by Northern Trust. For further details on Northern Trust please visit the website at www.northerntrust.co.uk and Arley Homes at www.arleyhomes.co.uk.